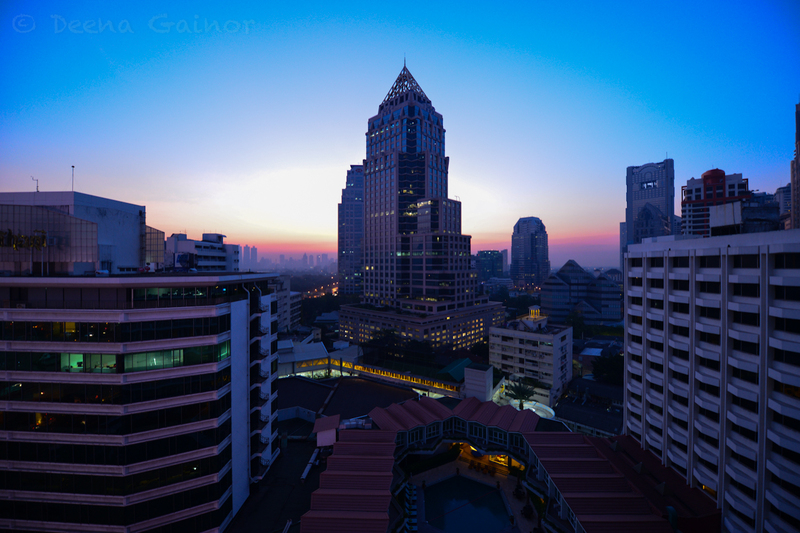 Bangkok is a city of contrasts, the old mixed in with the new, and the cheap and inexpensive found just outside the pricier venues. Temples and shrines are interspersed with tall, modern skyscrapers, and there are colors and people everywhere. I didn’t expect to love Bangkok as much as I did. We spent about a week exploring the streets, shops, temples, and markets of this beautiful city and I still feel like I barely scratched the surface! Some of the highlights? Below is just a small snapshot of the things we saw and experienced while in Bangkok. Enjoy. 1. Chatuchak Weekend Market: We loved the enormous Chatuchak Weekend Market, one of the largest markets worldwide with over 15,000 stalls! You can find almost anything here and negotiating is part of the game. It’s tons of fun! 2. Asiatique the Riverfront: Asiatique Market is set on a beautiful riverfront location, off the banks of the Chao Phraya River, easily accessible by boat. Here you can find restaurants, shops, and even a ferris wheel. Though much more touristy than most of Bangkok, the atmosphere is clean, safe, and fun. 4. The Slums: On the outskirts of the city are the slums of Bangkok. Many of the shacks sit just above the water. I can’t imagine what life must be like when it rains or floods. 5. Temples and the Grand Palace: There are many temples in Bangkok and all throughout Thailand. Religion is taken very seriously in Thailand, with over 93% of the population being Buddhist. 6. Reclining Buddha: The Reclining Buddha was created to celebrate King Rama III. It is 150 feet long and 49 feet high, making it the largest Buddha image in all of Thailand. Gold leaf decorate his eyes and his feet are inlaid with mother-of-pearl. 7. Floating Market: And last but not least, my favorite…the Floating Market just outside of Bangkok! Thanks! We appreciate your kind words!